The next band in our continuing q and also a series is True Womanhood. (ed. note: If you want to know, you’ll just have to click on the youtube link). a: We approve of all the Brooklyn taco trucks. all we eat in new york is pizza and tacos. a: We got to see A Place to Bury Strangers many times over the last year and their live show is certainly an experience. We were also lucky enough to see our friend J. Robbins’ (Jawbox) new band Office of Future Plans play live at Aural States festival in Baltimore just last night (where we also played after a 4 hour drive up through snow) and he’s still got the magic. Other faves include Indian Jewelry and HEALTH, also can’t forget Terror Pigeon Dance Revolt. a: We’ve had great experiences at Glasslands, Death by Audio and Cameo Gallery, but we really want to play at Shea Stadium. Yes, that one. a: Dan Deacon, so he can make more of those crazy videos. a: We just came out with our debut EP, Basement Membranes and released it through the Baltimore label Environmental Aesthetics. We recorded it at DBA and with J. Robbins in Baltimore and we had such a good time with him we decided to record our full length at his studio as well. We’re hard at work on it at the moment and it’s going to literally slay, we are trying to get Weezy, Gucci Mane, Charles Manson, TI and Phil Spector to do guest vocals and production. 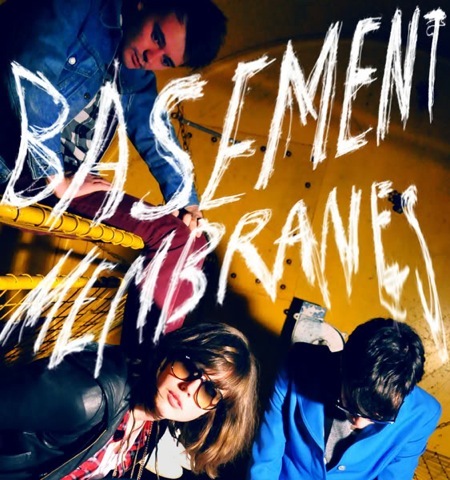 Here is a track off their new Basement Membranes EP. Purchase Basement Membranes @ the Environmental Aesthetics shop. Here is their free Magic Child digital 7′ from Death By Audio. True Womanhood has an official site. True Womanhood is on Myspace. True Womanhood is on Facebook. True Womanhood is on Twitter. Death By Audio page is here. Ampeater digital 7″ is here. Their 1/6/10 Glasslands performance is available at nyctaper. this band is so cool. looking forward to seeing what they do next.